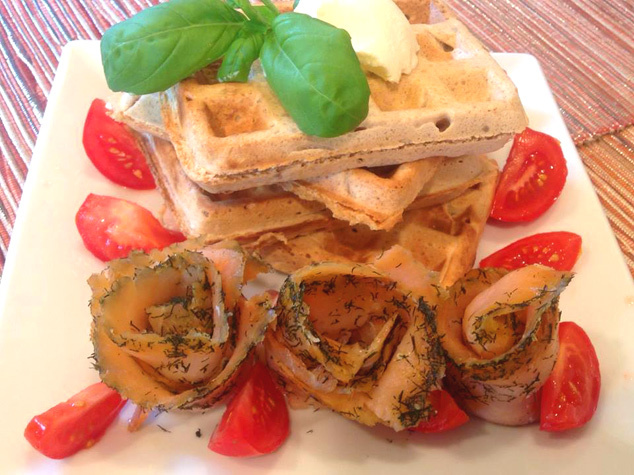 Here is another great recipe by my amazing guest Susanna. You don’t have to be told how good waffles are with syrup, chocolate, fruit, honey marmalade, eggs and steak even. For many of us, it’s a guilty pleasure, but not with this guilt free version. 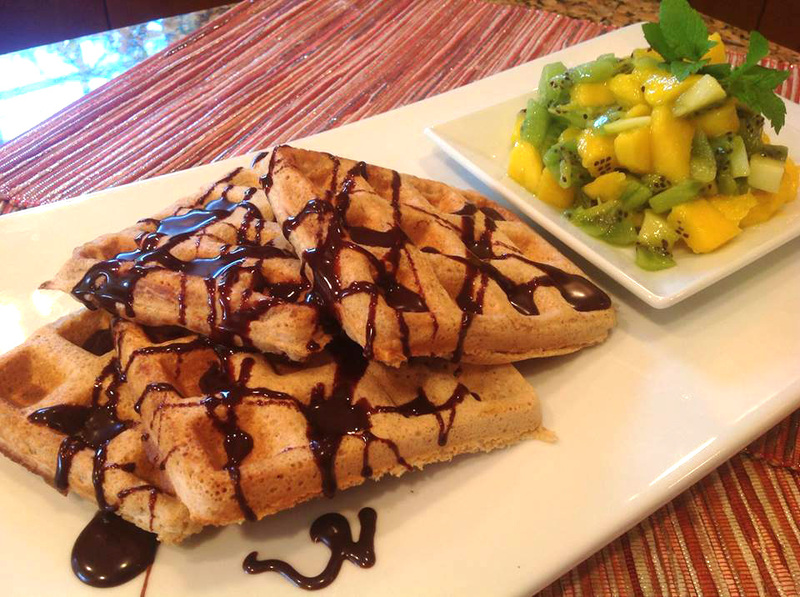 These waffles are gluten free, low carb, and dairy free , but most importantly they are absolutely delicious and great for your waist. *More on the slimming benefits of at bran can be found at ProcessedFreeAmerica website. 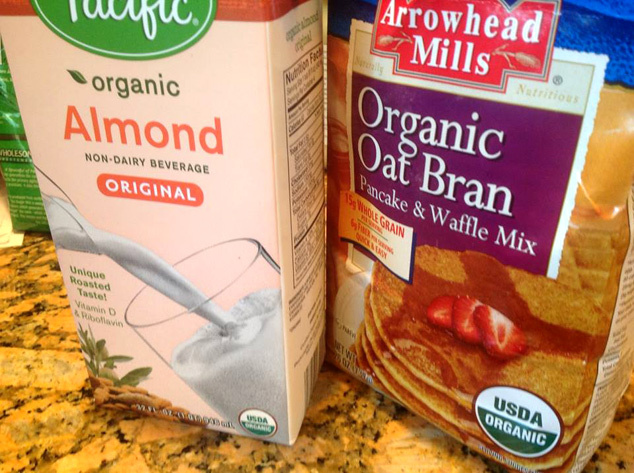 Oat bran is also one of the main components in the “Dukan” diet. Mix egg yolk, waffle mix, milk and oil together. 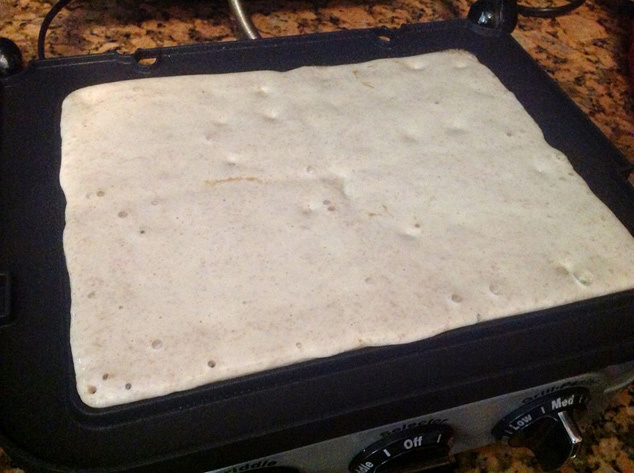 Heat the waffle iron until the indicator shows it’s ready to use, you might want to grease it. Close the lid and wait about 3-4 minutes. 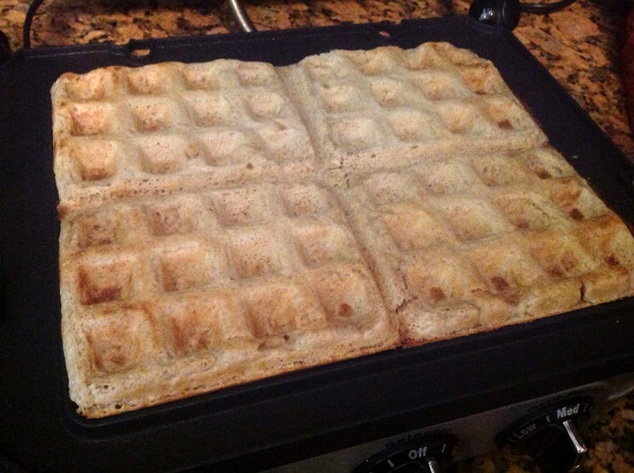 When the waffles are ready, steam will not emerge from the seams. Enjoy, both sweet with syrup or chocolate and fruit or savory with coconut butter and lox. Any leftover waffles can be cooled and stored in a freezer in a Ziploc bag for a few months, or in a refrigerator for up to two days.